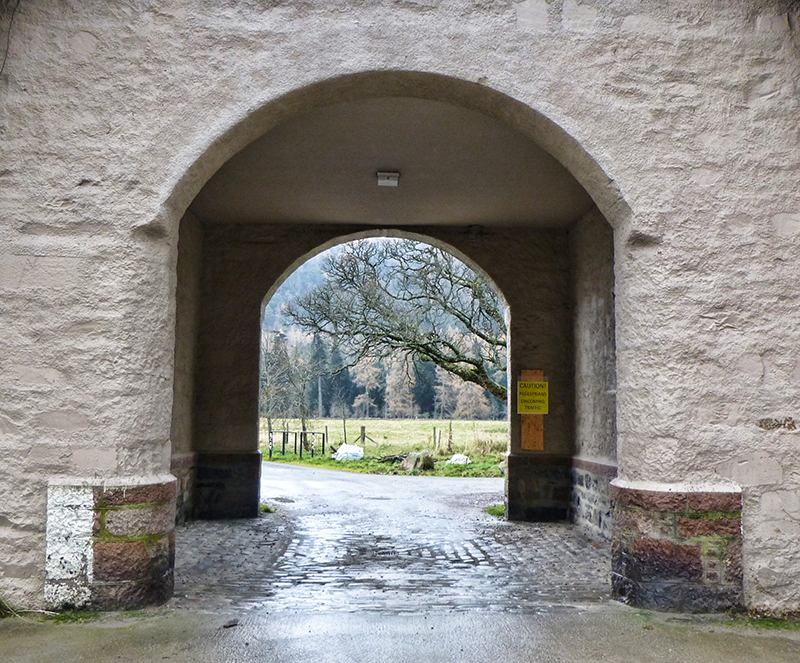 Through the stables courtyard gate into the forest. Our apartments — all of the windows on the lower floor of this wing of the estate. It was a most solid and comfortable country estate built in the late 1800s by the Duke of Fife. My favorite part! 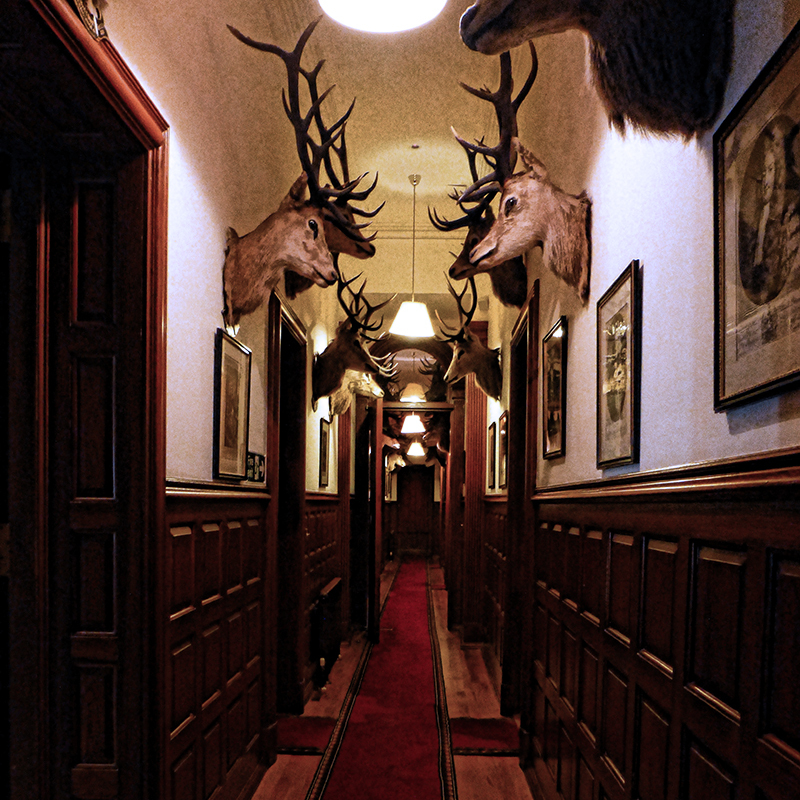 Our hallway, from one end to the other, was guarded by these ghostly heads of the mighty red stag, mostly of them shot by the Duke of Fife himself.